You may have heard the news that Detroit is a UNESCO City of Design—the first such city in the U.S. You may also have a lot of questions, such as "What?" or "Who?" or even "Huh?" I would have said the same things few years ago, but since I've been at the Detroit Creative Corridor Center (DC3), I've had the opportunity to learn about the Creative Cities Network and see firsthand how other members have used design to strengthen their economy, bolster civic pride, and make their cities work better for their residents. While this designation is a big deal for my organization, truthfully, my excitement comes more from a personal place. I have lived in the city of Detroit my whole life, and can imagine countless ways in which design could improve things, from making busy multi-lane roads easier to cross, to supporting growth of walkable neighborhood retail districts, to imagining and realizing new ways to use old infrastructure. I've been extremely fortunate to visit two fellow cities of design in the past few years, including Montreal, Canada, and Saint-Etienne, France. Both share many things in common with Detroit—French culture, a long history as industrial and cultural powerhouses, vibrant creative communities, and many of the same economic challenges facing post-industrial cities all over. Moreover, both cities have accomplished a lot through their UNESCO designation and make me hopeful about the potential for Detroit. Here's three things I've learned about the designation from my time at DC3 and travels abroad. While design may be the mechanism, the impact of design-based development touches nearly every aspect of a city's economy. In Montreal, the focus has been largely on retail and growing dense, unique, commercial districts. This is something I noticed about the city back in 2010, long before knowing anything about UNESCO. I immediately fell in love with the seemingly endless corridors of independent shops, grocers, restaurants, pharmacies, and businesses of all kinds. I have since learned why. Recognizing that businesses often are the first space where residents and visitors experience design, Montréal developed the Commerce Design competition to make design more accessible, revitalizing its commercial spaces while preserving the unique personality of its neighborhoods. The investment directly benefited the retail business owners and designers, as well as the look and functionality of the neighborhood. In Saint-Etienne, I saw another compelling model for economic development at the Cite du Design, a former armaments factory. In 2005, the building was transformed into a campus for cross-fertilization between technology, art, culture, leisure, higher education, and open innovation development. Emerging designers like Jean-Sebastien Poncet are choosing to stay in Saint-Étienne after graduating. 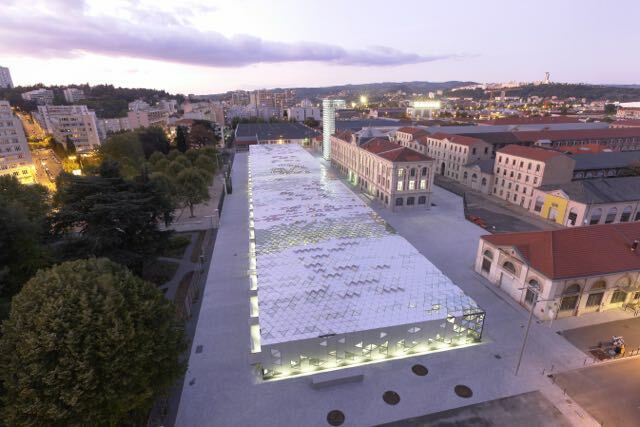 Poncet helped launch le Mixuer, a design incubator within the complex. "The market is small here but the opportunities are huge. We are concerned with making money but with also making impact," says Poncet. Both Montreal and Saint-Etienne were motivated first and foremost by a desire to make their city a great place to live. Saint-Étienne was the first French city to have a design manager, a position that ensures design is represented in every aspect of the municipality, from the urban space to the operational systems and processes that make government work. "As the only [UNESCO] City of Design in France, we are the national leader for government design strategies and we are proud of this reputation," says Natalie Arnould, design manager for Saint-Etienne. "We are not a wealthy city, but we believe design can improve quality of life for our citizens and we are committed to living up to our reputation." 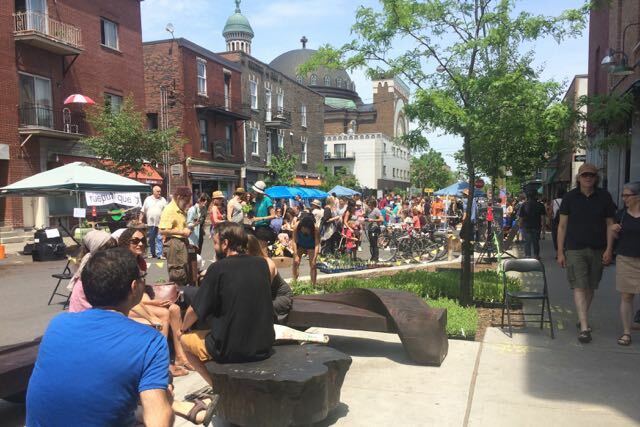 Montreal has focused on the public space—anywhere people gather is seen as an opportunity for design to improve it. Over the past ten years, the city has invested more than $55 million in public design competitions, developing imaginative playgrounds, libraries, even an entire district downtown. These projects have helped raise the profile for local designers and position the city as a leader in urban design experimentation. The constant presence of art and design is a palpable part of the atmosphere in the city, inviting residents and visitors alike to come out and enjoy life in their city. As is generally the case with any form of economic development, true impact comes only after decades of strategic investment and planning. I recall Marie-Josée LaCroix, design commissioner for Montréal since 1991 and head of the Bureau du Design, once telling me that after they received the designation, they spent the first two years convincing everyone in Montréal they deserved it. Likewise, design was not always embraced by everyone in Saint-Étienne and there was a lot of skepticism around the initial investment for the Manufacture site and the public competitions. "Often, design is treated as an afterthought," says Robert Karulak, vice president of Tourism, Design, and Culture for Saint-Étienne. "We had to learn that if you invest in good design at the beginning of the process, you'll end up with a better product that will stand over time." Investing in design can be a tough sell for a city with limited resources, but as Montréal and Saint-Étienne demonstrate, design is ultimately about developing creative solutions. And there are countless opportunities for design to improve quality of life for Detroiters, from mobility to housing, to public health and beyond. It will take time and resources to see change. This doesn't necessarily mean more money—but rather using thorough design processes that put people at the center of them to create better and more sustaining solutions for the products, services, and places that we need. Design is more than aesthetics—it's in everything. The Detroit Design Festival, which takes place from September 21 to 25, will bring together designers and enthusiasts alike to celebrate Detroit’s role as a design capital. Representatives from Montréal, Saint-Étienne, and other cities of design will meet for a public discussion on Wednesday, September 21, from 6:00 to 8:00 p.m. at University of Detroit Mercy. Learn more here. Ellen Schneider, is a Detroiter, lawyer, and Director of Advocacy and Operations at the Detroit Creative Corridor Center.